A digitized version of William C. Mills’ 1914 Archaeological Atlas of Ohio has been made available through the Ohio Digital Resource Commons (DRC). In this comprehensive work, the culmination of two decades of archaeological survey by the Ohio State Museum, Mills documented the location of 5,396 prehistoric sites. Included in this number are mounds, earthworks, and effigies built by Ohio’s earliest inhabitants, as well as flint quarries, petroglyphs, and village sites. 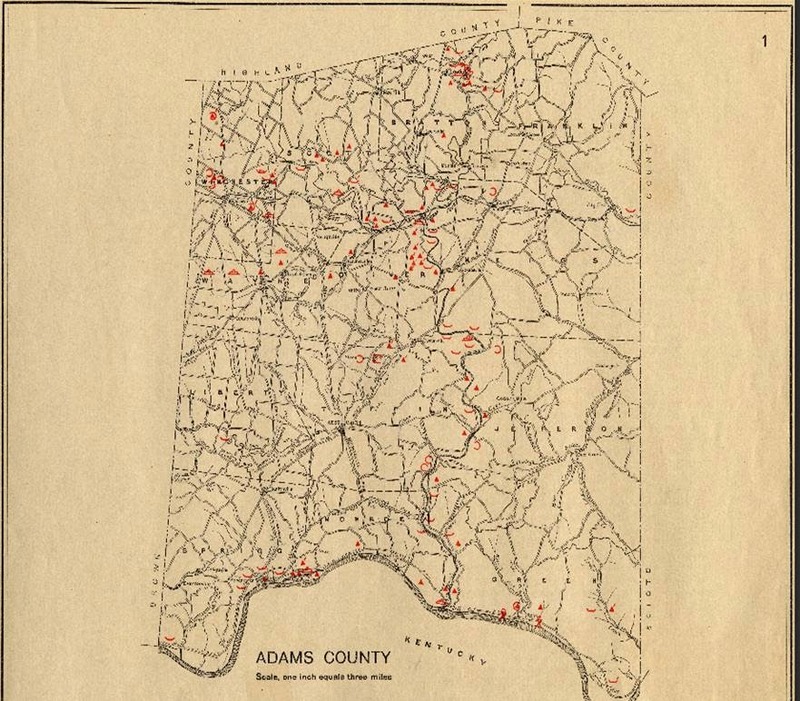 Two pages of the book were devoted to each of Ohio's 88 counties: an informational page and a map of the sites located in the county. Thanks to DRC, a project of Ohio Link, the entire book is now available to the public. With rich drawings and detailed legends, each county's map as well as background information can be accessed online, with zoom capability. The pages are also downloadable in.jpg, .pdf, or .tif versions. 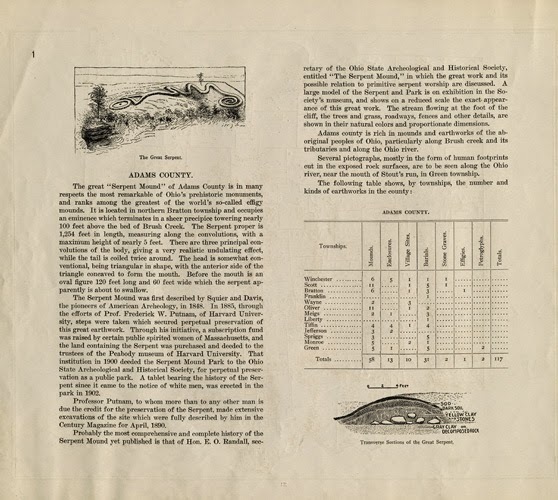 The archaeological atlas was the first of its kind, and drew on information from maps previously made by other archaeologists as well as Mills' own survey work over the course of 20 years. Mills, who gave both the Hopewell and Fort Ancient cultures their names, served as the first director of the Ohio Historical Society from 1921 until his death in 1928.